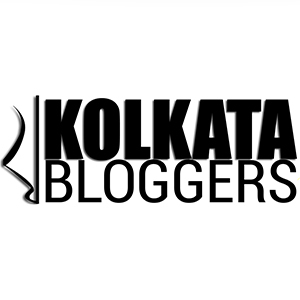 June 11, 2018 June 11, 2018 Categories Festival, Recipe, Restaurant reviewaam festival, alphonso, festival kolkata, food blogger kolkata, food reviewer, halwa recipe, hapus, himsagar, mango, mango chicken parantha, mango fest, mango festival, mango makki halwa, mango makki halwa recipe, mangoes, parantha, paranthe, paranthe wali galli, quirky decor, recipe blog, recipe blogger2 Comments on Mango Festival at ‘Paranthe Wali Galli’ & their special Recipe for Mango Makki Halwa! Sometimes I wonder how God made such amazing entities like Mango or Hilsa! One gives us the reason to bear the hot summer months, other makes us fall in love with the monsoon! I’ll come to the Hilsa few months later but as of now, let’s concentrate on the king of fruits! These days I am over-eating mangoes and I was almost in heaven when I was there at the Mango festival at Paranthe Wali Galli (Kolkata). This quirky desi ‘parantha parlor’ is nicely tucked away in the bylanes of Desapriya Park area. There are very few places in the city who concentrate on paranthas and go on to innovate them with a plethora of fillings inside. This place is a must-visit if you are a parantha lover. The place is extremely colorful and vibrant with quirky quotes all over, desi elements and décor all around. You will get colorful Dhaba-style benches and no-frill wooden tables to be in sync with the rustic desi theme. So, coming back to the Mango Festival at this place, it is called – ‘Deewana-e-Aam’, the mango extravaganza that will let you express your love for the king of fruits! This festival is for those who can’t get enough of mangoes and will leave no opportunity to savor this seasonal delight. Here at this festival, you can have mangoes in the form of drinks, paranthas or kulfis. This special menu has Hapus ka Sharbat and Hapus ka lassi, Gur ki Shikanji, Aam ka Panna, Mango Chicken Parantha, Kairi Masur Ka Parantha, Khoya Aamsatt Parantha, Meetha Aam Chutney, Ambi Lassun Chutney, Mango Makki Halwa and the Mango Kulfi. So, just choose your dish and relish your favorite mango the way you like! My personal favorite is their Mango Chicken Parantha, I just loved it and you should surely try that. I also liked the Khoya Aamsatt Parantha for a sweet twist to the paranthas. Definitely start your meal with the Gur ki Shikanji, like I did which is loaded with jaggery and so it’s sweet (definitely better than sugar, for your health) and damn refreshing! Also, I would like to share a recipe from this special Mango Festival menu which the owner and chef, Rahul Arora shared with me and cooked the same when I was there at his place. It’s the recipe for Mango Makki Halwa and it’s pretty simple and easy to make. So let’s get started. Now keep stirring vigorously till the halwa thickens. The Mango Makki Halwa is ready to be served! Thanks Rahul for sharing this recipe! And guys, hope you will prepare this at your home and let me know how you liked it. This is one halwa preparation that I had never tried before and I really loved it when I tried it at Paranthe Wali Galli. It’s bursting with ghee and the goodness and flavors of mango. A must-try recipe this summer. And yes, apart from trying this recipe at home, do visit Paranthe Wali Galli (Kolkata) to try out all these delicacies. It’s celebration of this seasonal delight that will surely keep you enthralled this summer! Previous Post Kabul Restaurant – There is a piece of Afghanistan in Kolkata! Next Post ‘Barbeque Nation’ gets a new address – an ode to the iconic buffet joint! From the title, I thought it’s the famous Paranthe wali Gali of Delhi. 🙂 Mango is definitely the king of fruits. Nice recipe.